Nah Nah ... It's not any Tuesday, but the name of a cafe! What a funny name right? But it really serves the purpose for one to remember it. 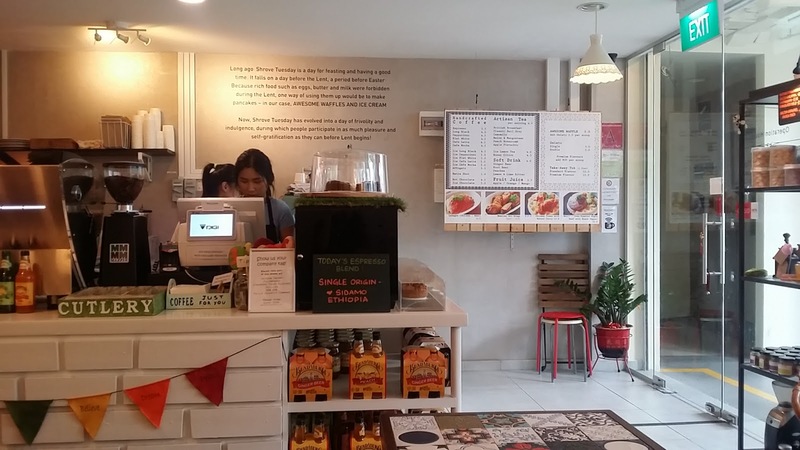 How I came across this cafe, is because they followed me on instagram for quite long and I have been wanting to go try it when I can. I finally got the chance to try one Saturday when I was feeling bored at home and the sister would be knocking off from her part-time job around noon time at Toa Payoh area. 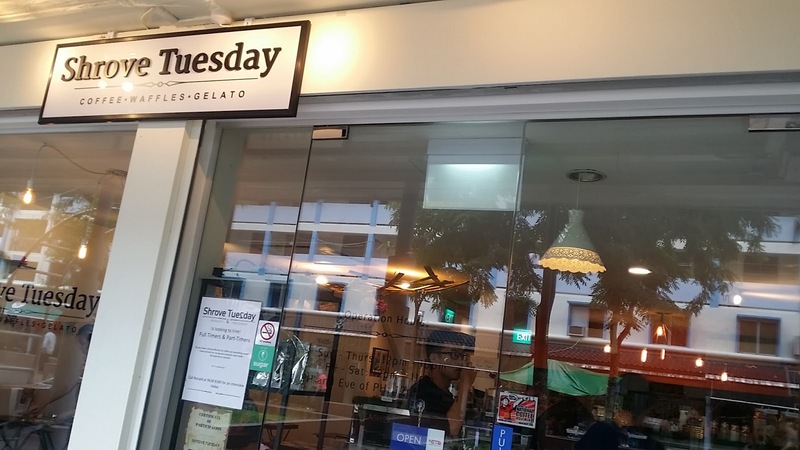 I texted her to meet her at TPY Lorong 4 bus stop as it is just a short walking distance to this cafe. The bus stop does not stop directly near the block, there's a little walking distance and I was a little tired that day so was feeling kind of grouchy when walking towards the cafe. 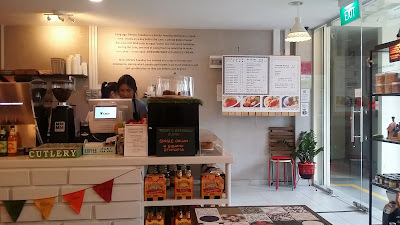 As I walked, I noticed there are many hidden gems (makan places) within that estate, some new stuff to try next time. The first thing I did when I entered was proceed to the cakes display area - the rainbow cake caught my eyes. Then it was the gelato - plenty of unique flavour. 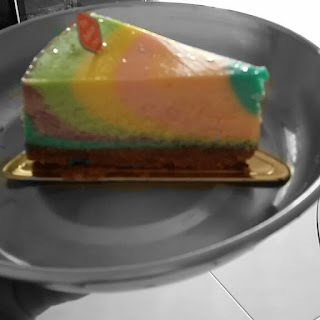 I was at a loss on what cakes to try but I still decided on rainbow cheesecake. 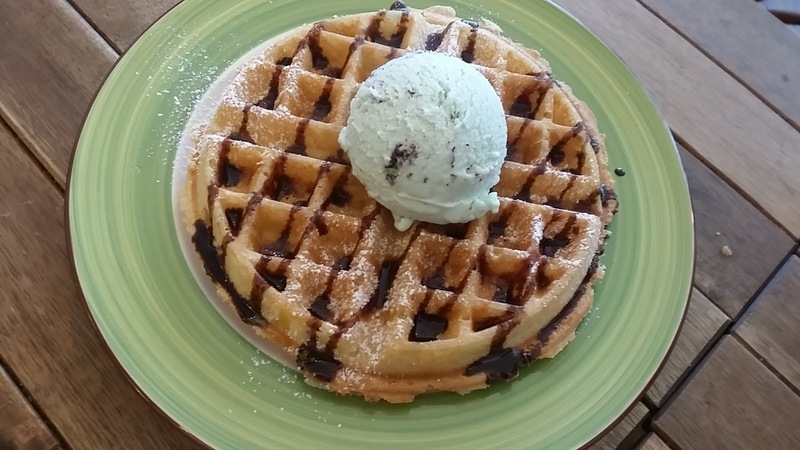 The sister wanted a waffle and we both agreed on Chocolate mint gelato which was our favourite. How can I miss out the Cappuccino ($4.50)? I can't remember the cost of the rainbow cheesecake already, I think around $8? 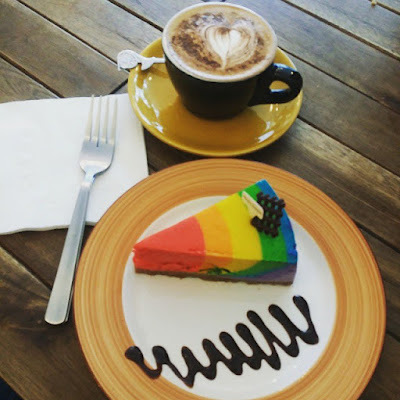 I have tried another rainbow cheesecake recently from another cafe and I was so disappointed with it. I think the cake's color was done by artificial coloring which I'm not very sure? When I took the first bite, it was too cheesy and thick that I found it difficult to finish. I had 2 mouthfuls and threw the rest away. I think rainbow cheesecake require some skills to make it successful, maybe not too much artificial coloring? I think there's NO service charge and GST at Shrove Tuesday too.